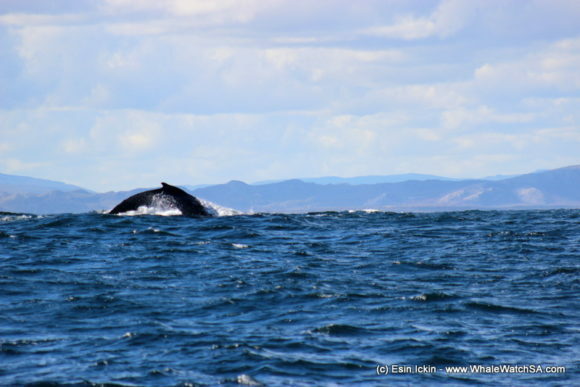 We had whales galore today, spotting a Humpback whale on trip 1 and all three of our baleen whales on trip 2 and 3. 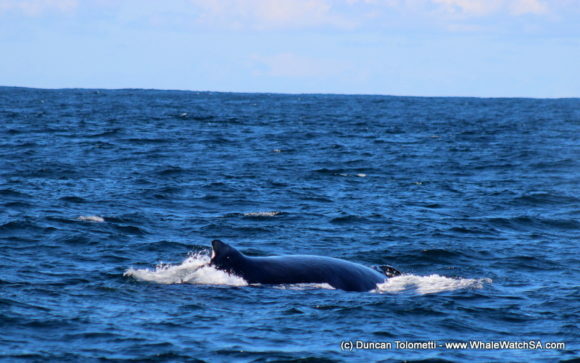 We’re having a lot of fun out at sea at the moment, with sightings of all 3 of our baleen whales. Baleen whales are toothless whales who instead, use baleen plates to filter feed on things such as krill. 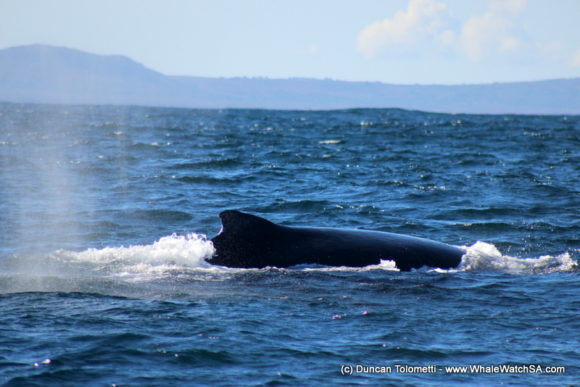 The Southern Right Whales and Humpbacks are doing most of their feeding closer to Antarctica whilst the Brydes Whale feeds in our waters on schooling fish. 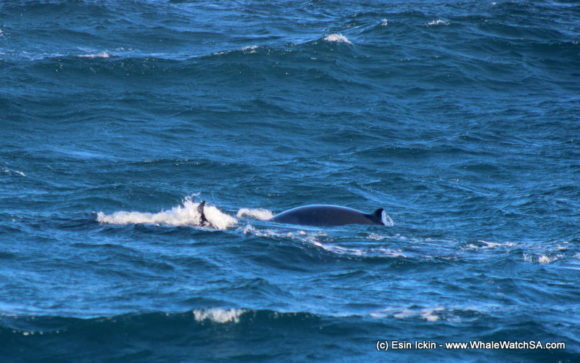 The first whale of the day was a Humpback Whale which we found travelling towards Dyer Island. 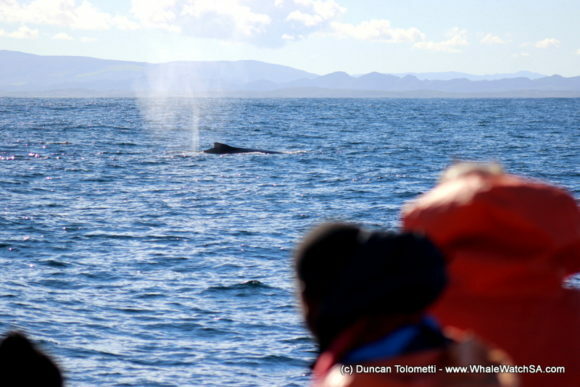 This whale was very relaxed so we travelled with it for quite some time, waiting in anticipation for it to surface. 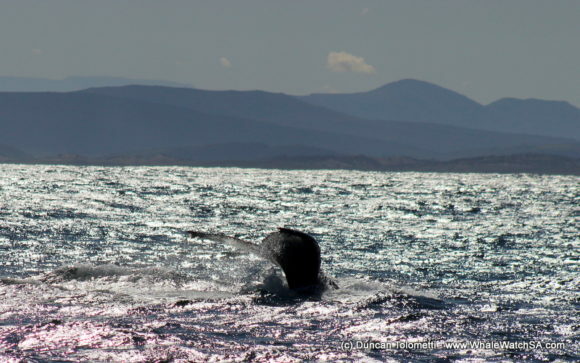 Right at the end of the sighting we got a view of its tail as it fluked and took a deeper dive. 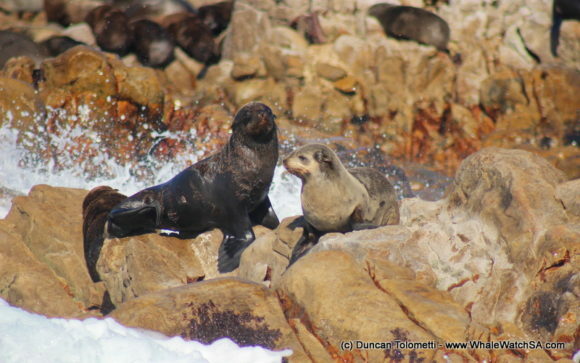 We also got to see our Cape Fur Seals at Geyser Rock. On the way back to the harbour, we came across an area with lots of fish, which was a great addition to the tour as we found a couple of cool marine species here. 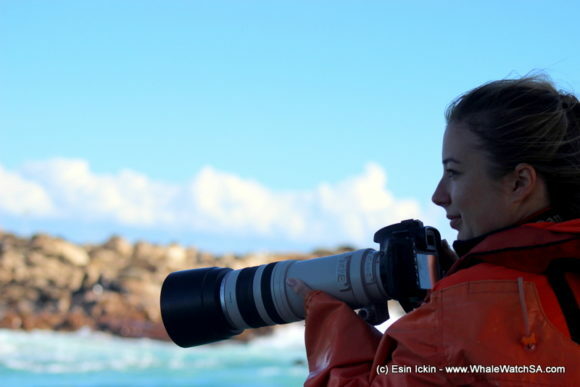 The first was a large raft of African Penguins and, shortly after this, we even had a Brydes Whale pop up. Trip two started off with a very special sighting of a whale mom and calf. 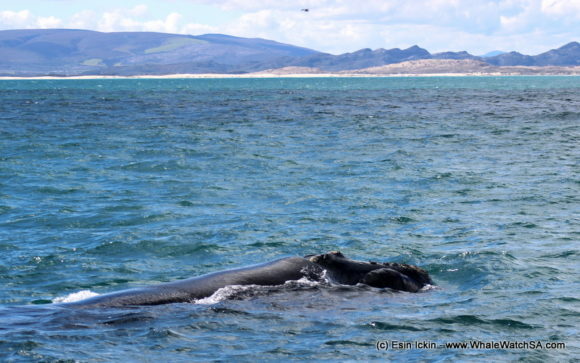 This time, we had encountered a Southern Right Whale family. This mom was moving along with the little calf in tow, so we kept our distance and observed them for a bit. This little calf is a super find due to the fact that she is a half brindle animal. Her body has some white markings on it which will eventually turn grey as she ages. Our next group of animals was also a mom, calf pair but, this time it was a Brydes pair. Mom was taking advantage of the fish moving through and we got a couple of nice views of baby before heading off. We also spotted a Humpback Whale behind the island. This was the second day in a row where we have seen all 3 species, though before that we had gone almost a year without. Our final tour also caught up with these mom calf pairs, both of which were hanging around in the bay. 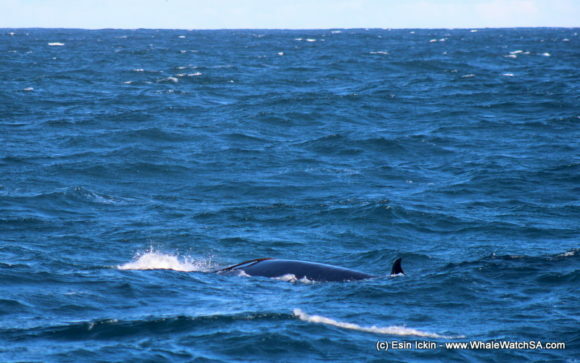 After watching the Southern Rights for a couple of moments, we moved on to see if we still had any Brydes Whales. We had a really close encounter with a Brydes who swam just beneath the surface only meters away from the boat. We also got to see the mom and calf again briefly before searching for some more wildlife. 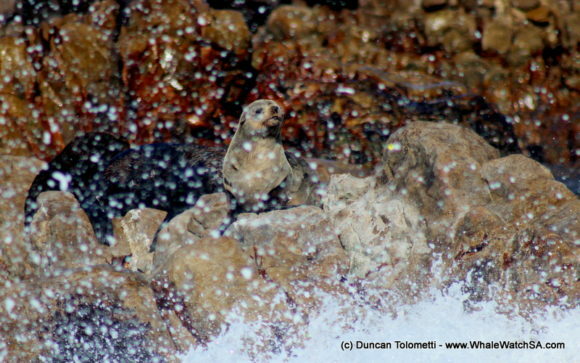 We went on to see a Humpback Whale, Penguins and our seals before heading off. 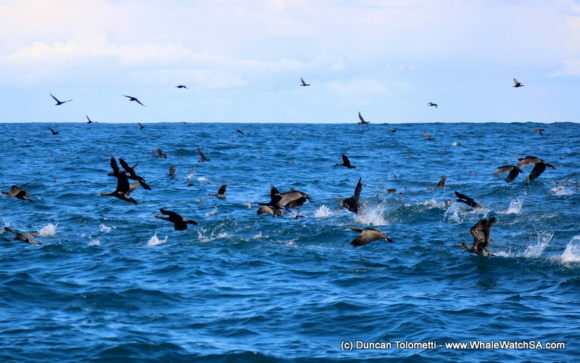 The sea was also chock a block with birds today, with us spotting Albatross, Petrels and hundreds of Cormorants. We’re seeing a lot of Albatross recently, much to the delight of all the birders on board. 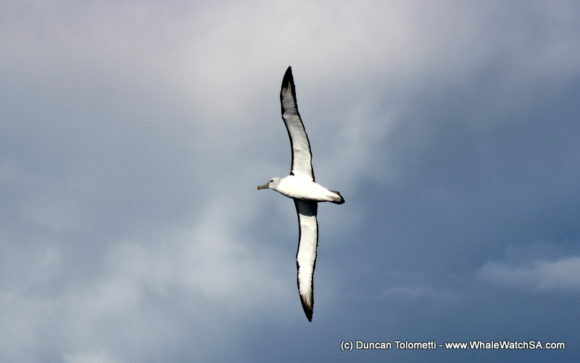 This is a Shy Albatross. 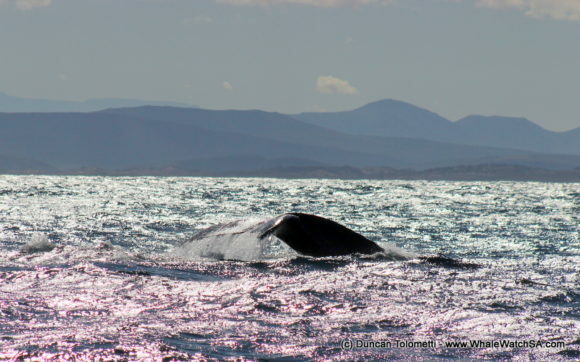 Humpback whales are renowned for their epic migrations and we’re really lucky to be en route. A close up of a Humpback Whale. 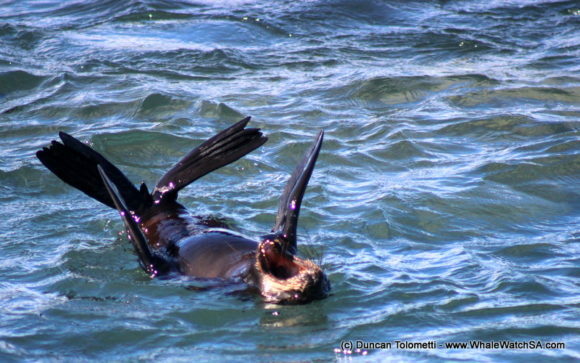 A pinniped playing peek a boo. It’s a tough life, being a seal. 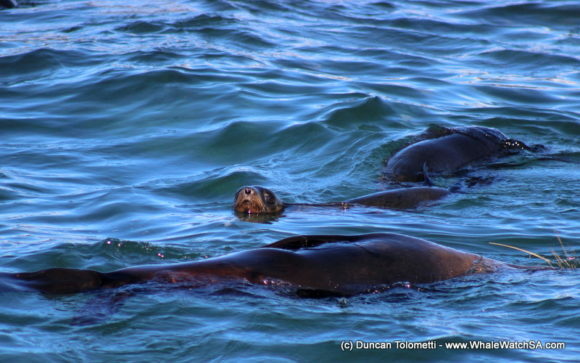 Some young Fur Seals hanging out. 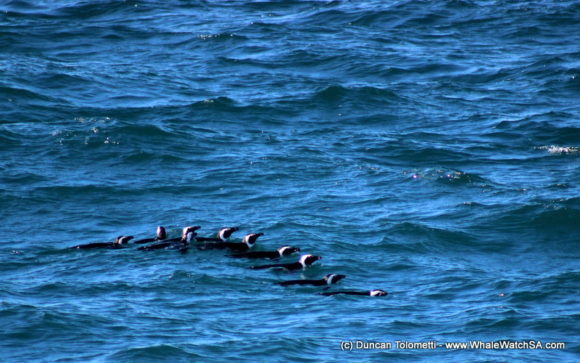 A tightly packed raft of African Penguins. A Southern Right Whale mom. A Humpback Whale going down. 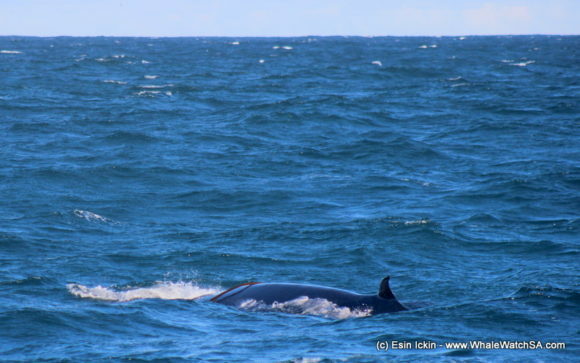 A very interesting sight, a Brydes Whale mom with some kelp on her back. Other whale species will sometimes pick up kelp and toy around with it. For this whale, it looked more like she came up and got the piece stuck.